Software Development and what results from the efforts of that development is big business. We are talking ‘Dr. Evil’ big business. So it’s understandable why software companies guard and hold tightly to that intellectual property (IP), that recipe of programming code that directly generates massive amounts of income and revenue. The thought of openly sharing that code and creating an official online repository where you can contribute to and/or consume code…..for FREE….was considered insane….WAS!! Welcome to the open Microsoft and the SharePoint Patterns and Practices (PnP) initiative. The PnP manages a collection of open source GitHub repositories that house a massive array of samples, including SharePoint Web Parts, SPFx extensions, SharePoint List Formatting definitions and so much more. In the not too distant past, this type of library of code would be IP that a company could and would charge a hefty subscription for access too. Not with the PnP!! The PnP community repositories are 100% free to consume and use. Far from it!! Not only are the samples contributed by both PnP community members and Microsoft 100% open source (meaning we get full access to the complete source code), everyone can contribute to making the sample better! You and I are able to download each and every piece of solution code available, use it, improve it if we choose and then update the code in the repositories…including getting credit for the contribution from Microsoft. Remember those community calls I talked about in my previous article? Whenever you and I make a contribution to the PnP repositories, we get included on those Monthly Community Calls as official contributors…..by name!! 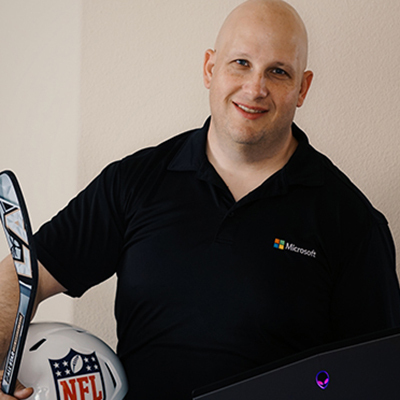 So not only are we benefiting by having free access to great code, we are able to help make it better and get credit for that contribution at the same time with documented recognition from Microsoft!! Truly a symbiotic software development relationship. 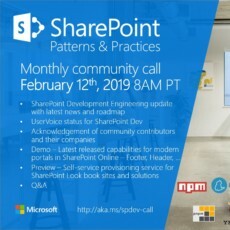 This process of using and improving the solutions available in the PnP not only increase the value of what we are able to deliver as a Software Developer, it helps improve the entire SharePoint ecosystem worldwide!! A developer in the United States can begin to create a community sample, that is improved upon by a developer in the Netherlands via collaborating together, without ever having actually met in real life!! ‘Pfftt, cmon, does that really happen?! ?’, you may be thinking. Absolutely! The scenario I just described, is a real life example of the power of the PnP. The feeling you get after you make your first contribution to the community sample repositories is exhilarating and empowering!! Additionally, the PnP Core Team members that administer the code repositories are always grateful, complementary and helpful! I’ve personally interacted with Vesa Juvonen and Chris Kent, both are amazing and helpful, despite the fact they both have other full-time job responsibilities. Ultimately, in a room full of developers I’m the first to admit I am most definitely NOT the smartest person, perhaps you have felt something similar? But in a community globally united by a passion to share and help one another, together we are smarter! 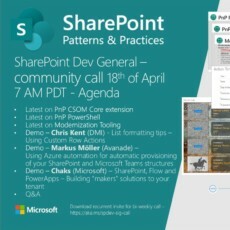 What’s even more amazing is when you combine everything we’ve learned together about the PnP from my two previous articles, the relationships you are able to forge by being a regular attendee to the PnP calls and proactively contributing to the PnP community repositories with solution & code samples, you are ready to engage in community camaraderie. The next article in this series will highlight how you can create a network of supporters and friends from your involvement in the PnP that will change your career!! Stay tuned!! 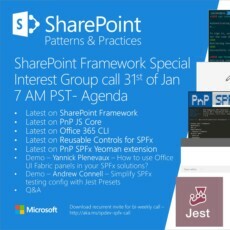 Keep updated on SharePoint Framework, SPFx Enhancement Packs and more with my Warner Digital Newsletter.